I am technically a pescatarian, although I only eat seafood a few times a month, and almost never at home with the exception of a can of tuna once in a while. Even spell-check doesn't seem to know what pescatarian is though, so it's simpler to say vegetarian. I was raised by vegetarian parents and made the decision on my own around the age of twelve when I read the factory farming issue of Animal's Voice magazine and started on the path to becoming a junior animal right's activist. Whenever I could choose a topic to report on or a subject for an art project, it was on animal welfare. I used to get into arguments with cattle ranching kids on the school bus. After college I was offered a job at the Farm Sanctuary in upstate New York, but had to decline it because I couldn't bring my dog. My views are more moderate now, and in fact I wish there were more small family farms like those where I grew up in agricultural southwestern Colorado, because I think that factory farming is one of the single worst things for animals, humans and the environment. I don't talk a lot about the vegetarian platform, because it's easy to feel like a hypocrite when you sometimes eat fish, when you support the dairy industry, and when you have dogs that eat meat several times a day. I'm a pragmatist and I don't pretend that the whole world or even the whole country will ever go meat-free, and in that meat-free utopia I have to ask how we'd feed our dogs...Still, I firmly believe that every small change matters. Eating less meat, enacting Meatless Monday, buying local. 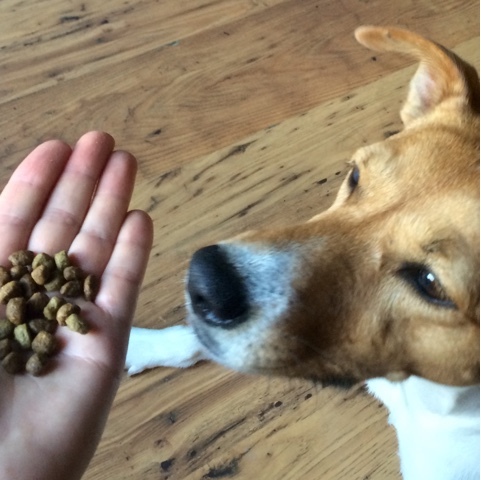 Whatever our eating habits, preferences or lifestyle, we can choose our food more consciously, including the food we give our dogs. This brings me to an exciting new dog food company I've learned of recently - Open Farm. Boca is ready for the sniff-test and taste-test. Open Farm is a family-run Canadian company that cares about farm animals as well as pets. They source their meat from farmers that are certified by an independent organization, Humane Farm Animal Care. They ensure that the animals are treated with kindness and respect in every step of the process and raised in a way that is closer to nature than dark, cramped cages and pens. They use wild-caught fish, selected seasonally for sustainability and make efforts to source the most local fruit and vegetable ingredients. 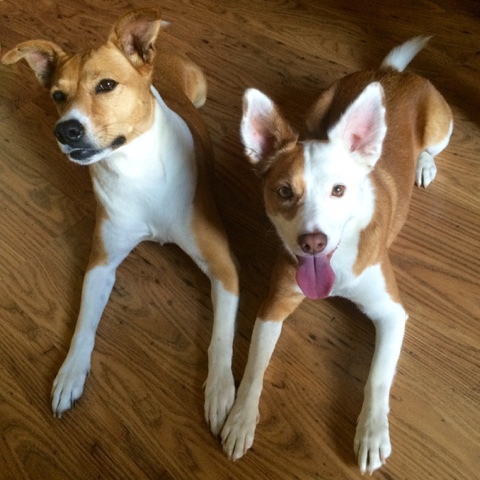 They seek the highest environmental standards and have a dog food bag recycling program. They do not use any ingredients from China. These are all things that make me feel great about their food, and the ingredients make me feel even better. We used the Pork & Root Vegetable recipe for a little down-stay and recall training. Taking a look at Open Farm's certified-humane, grain-free recipes, I am happy with what I see. From the book Dog Food Logic, I learned that the first five ingredients are the most important. 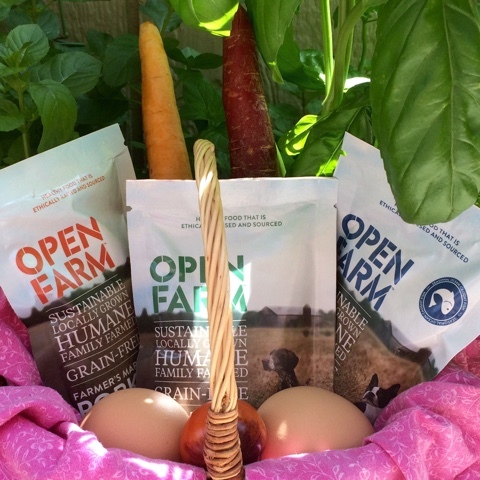 The first five ingredients of Open Farm's Pork and Root Vegetables formula are: humanely raised pork, garbanzo beans, ocean-caught whitefish meal, field peas and green lentils. 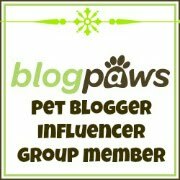 It also contains some of my other favorite things for my dogs: coconut oil, salmon oil and pumpkin. The protein content is 30%, the majority of which comes from animal sources. Open Farm states they do not use meat or poultry meals because they are mass-produced, but their fish meals are made in smaller batches and easier to regulate. I love for my dogs to eat a variety of proteins, so the fact that Open Farm's recipes contain multiple proteins is a big plus for me. 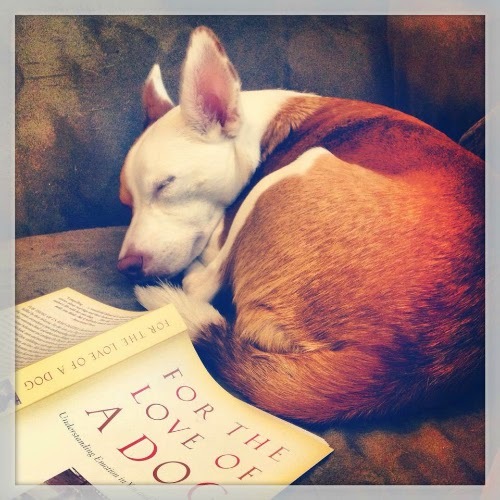 Open Farm receives a 4.5 star rating on Dog Food Advisor. This is one we will definitely be adding to our rotation, and something I can feel good about feeding my dogs, not only for their well-being, but for that of small farms, farm animals and the environment. You can follow Open Farm on Facebook, Twitter and Instagram. I've only heard of this once before, love the packaging. We are happy and doing well on our current food. Mom is a carnivore like us, so she likes to get meat in the dog food As much as she loves cows, pigs and chickens, she just couldn't imagine not eating meat or dairy. Everyone has to make their own decisions in life.Thanks for telling us more about this brand. Open Farm dog food does contain meat, it's just humanely raised! My dogs really liked the Open Farm food samples we got and I love that they source their meat ethically. The Ginger Sisters kind of went crazy for it - they were as enthusiastic about training with it as they are for high-value treats! I'm in the same boat as you re:feeling hypocritical sometimes. I'm vegan, but get a delivery once monthly of 80 lbs of animal parts to make their raw diet. I do what I can, where I can, concerning my health, the environment, the other creatures on the planet, and my dogs wellbeing. So glad to hear of a company doing the right stuff! 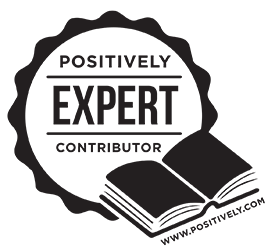 I think people are so quick to attack rather than asking what they can do or acknowledge the positive. Often when people find out I'm (mostly) vegetarian they like to say "but you wear leather, don't you?" Small changes add up! The company does sound amazing. I like what they are doing. I think I could do with less meat in my life. I made chicken for my family last night, but only ate the rice and green beans because I didn't feel like eating meat. A few years ago, I stopped eating pork for a number of different reasons. But I still indulge in bacon unfortunately, from time to time. Oh man...bacon was my downfall when I started eating meat again for a couple years. It's the gateway meat! I was reading about this food a few months ago and was really impressed. I wish more companies would follow suit. My peeps are veggies, too but of course, as a cat, I cannot go veggie. Something like this food would be great for me, though. A cat food that contains meat and ethically sound. You know if they have or are thinking of making cat food, too? I believe a cat food is in the works, yes! Hi Seville, I wanted to let you know that Open Farm has now introduced cat food! I haven't heard of Open Farm before, so I'm glad I read about this post! I will have to check it out for Luna! I'm loving the pictures you took for this too!! Thanks, Jessica! We had fun with this one. Open Farm is a new company to me, but I really like the philosophy behind it! They are just starting their distribution in the U.S. so it's not widely available yet, but I hope it will be as more people become aware of it. I haven't heard of this company before but their but their ethical, sustainable ethos sounds great. I hope it will become more widely available as more people learn about it! Great review, Lara!!! I'm a pescatarian too! I got the idea from you. I love seafood so much, but I'm giving up poultry, beef and pork. I will admit that I do cheat and have a burger every now and then, because the restaurant I go to sources from local/humane farmers so I don't mind. 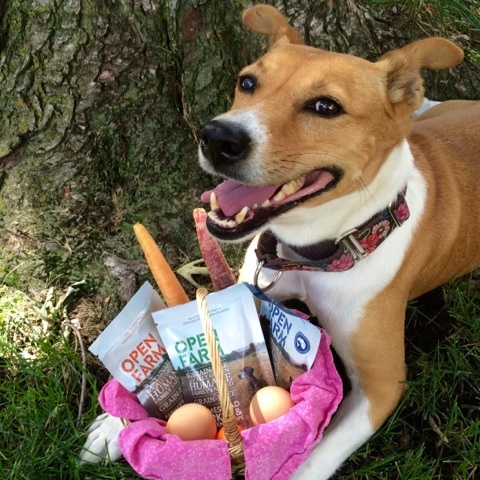 I love Open Farm and use their food as training treats for our raw fed dogs. Open Farm falls right in line with what I'm doing with my dogs' diet. All of the raw I get is sourced from ethical/humane farmers and brands and I love that I can continue that trend with their training treats while supporting an amazing company. The recycling program is just a cherry on the top! You live in such a great part of the country for seafood, too. I never really liked burgers (love veggie burgers) but I miss pepperoni pizza and bacon sometimes. 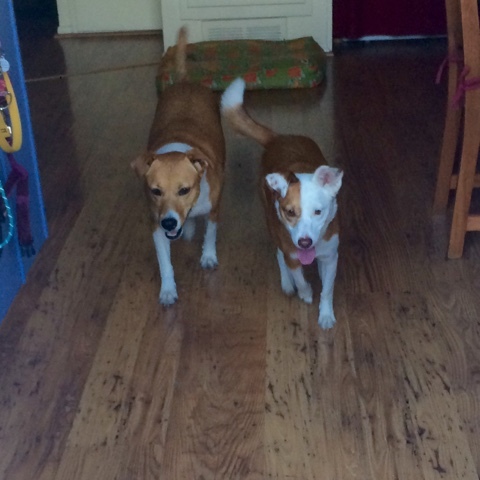 The Ginger Sisters went nuts for the Pork & Root Vegetable formula sample when I used it as training treats, too. I hope it will be more widely available soon - right now there is only one local pet retailer that carries it. Interesting, we will have to check them out.